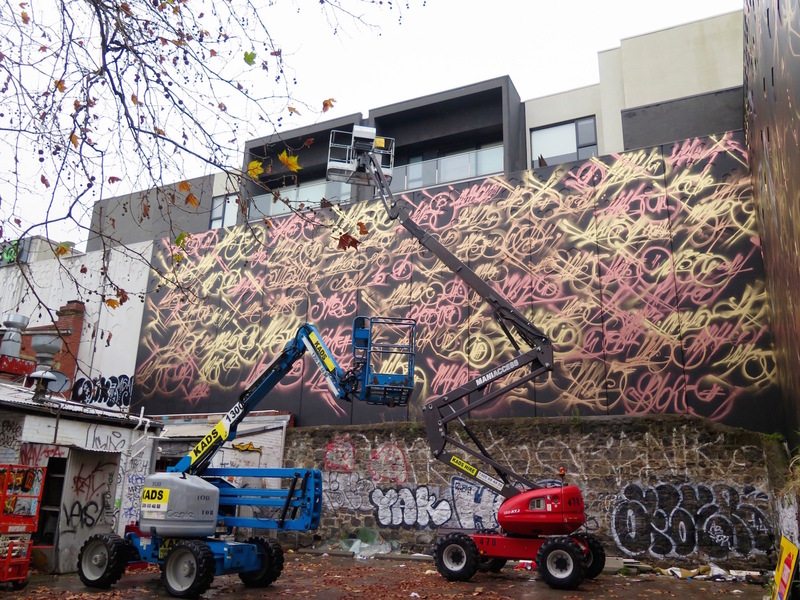 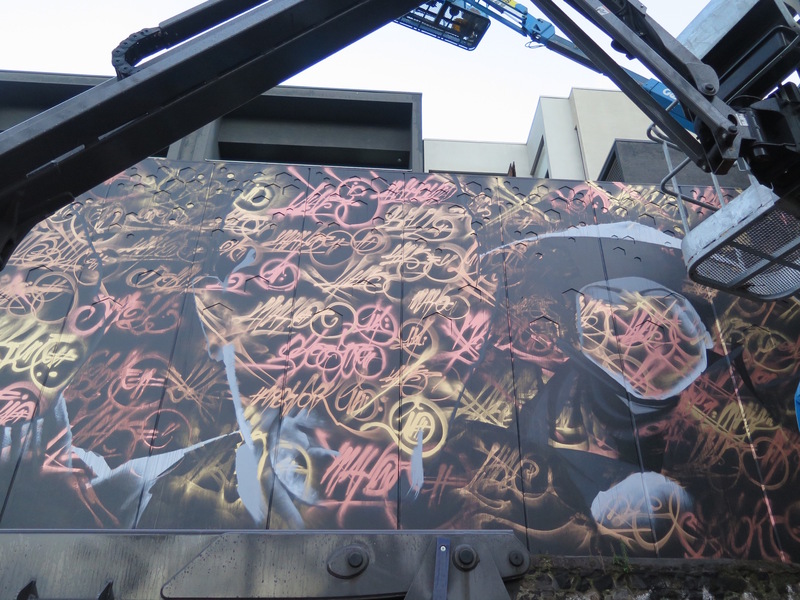 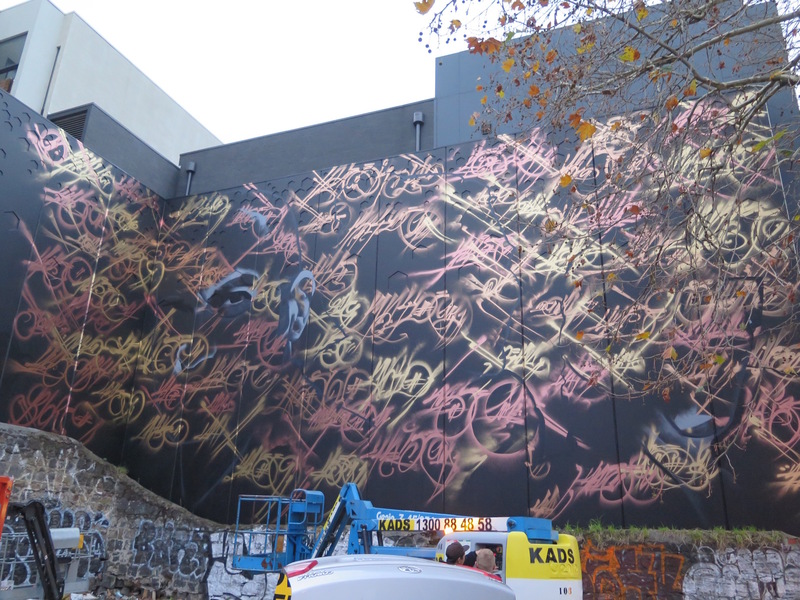 Heesco and Mayo collaborate for the first time on a notorious wall in Richmond. 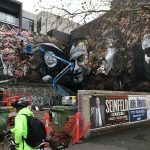 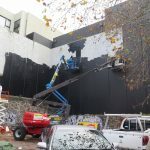 For years there were multiple attempts to give this wall a well-needed makeover and finally, this goal was realised in just seven days in May. 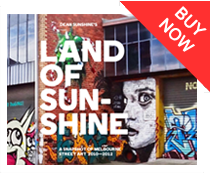 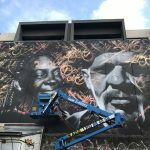 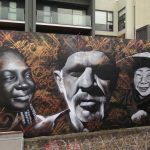 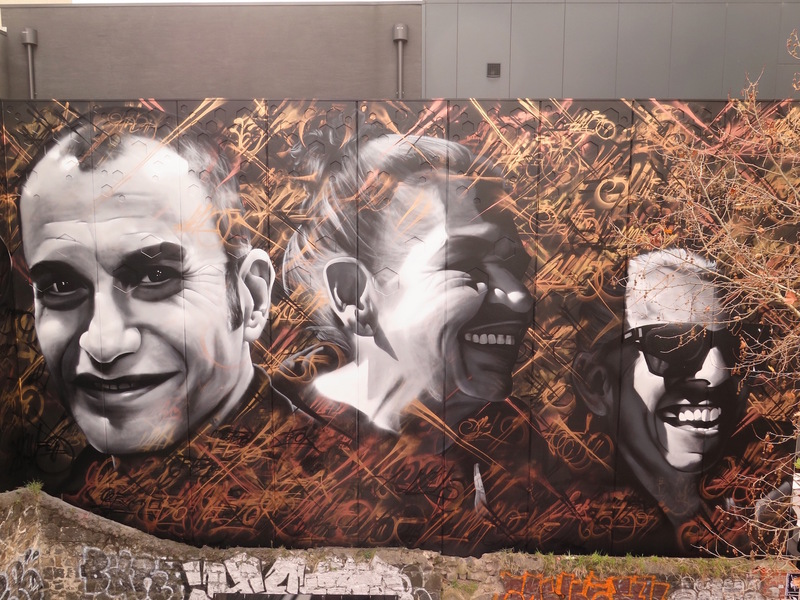 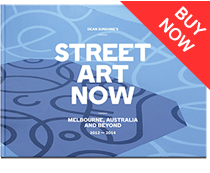 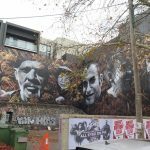 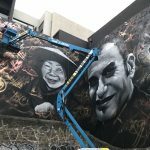 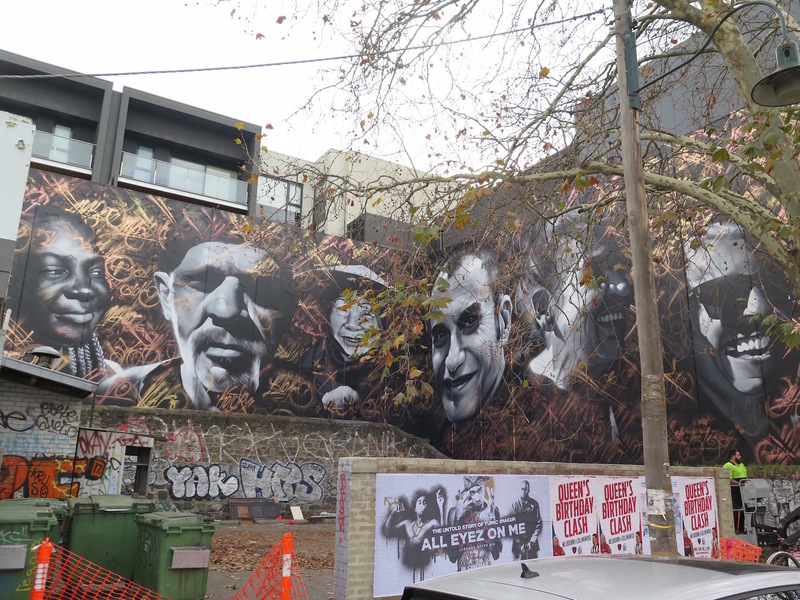 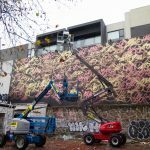 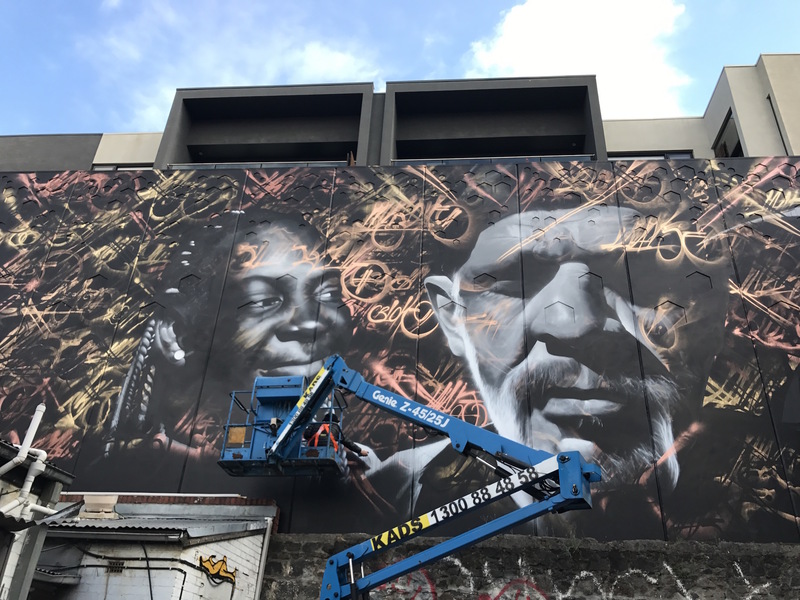 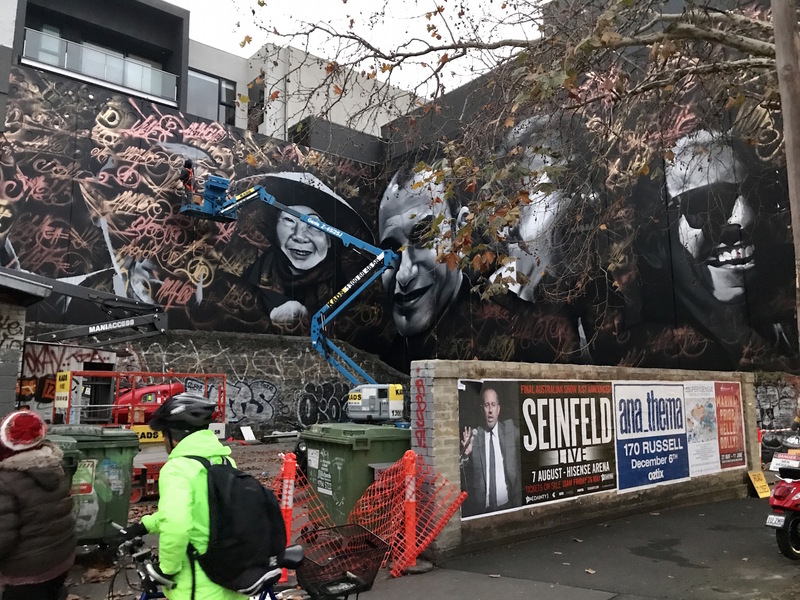 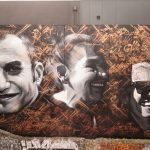 The aim of the project was to bring joy to this run down spot and highlight a small portion of the diverse mix of cultures seen in modern day Melbourne. 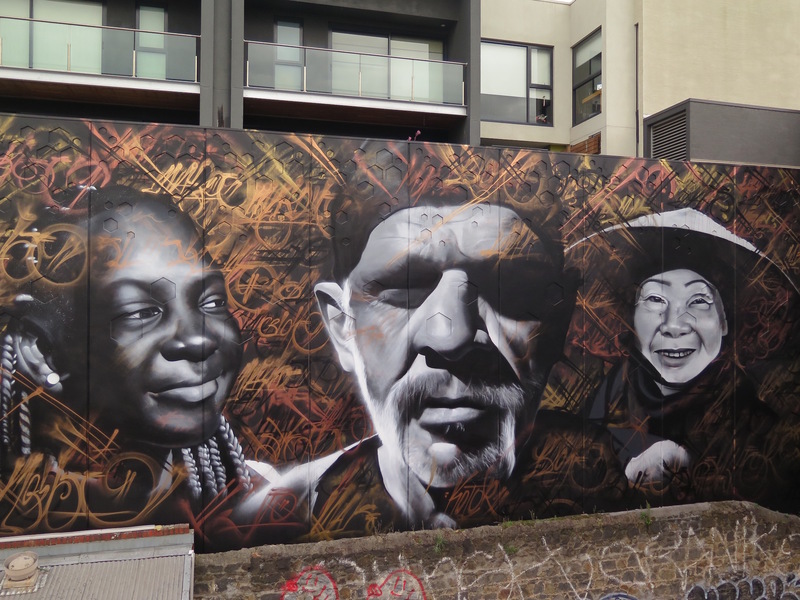 Photographs were taken of some locals from the community around the area. 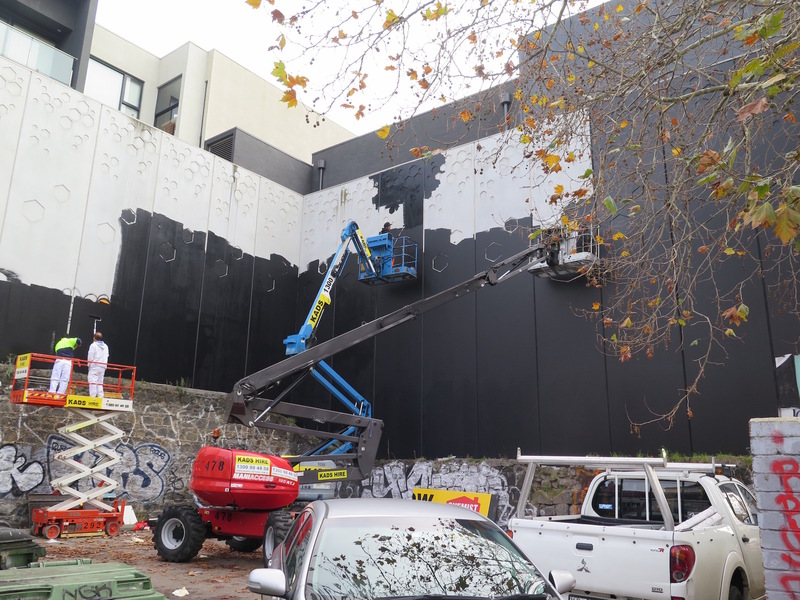 The whole tilt slab wall measuring forty metres across by eight metres high was buffed black. 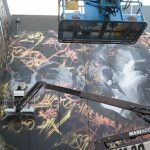 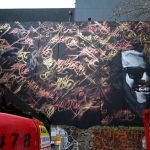 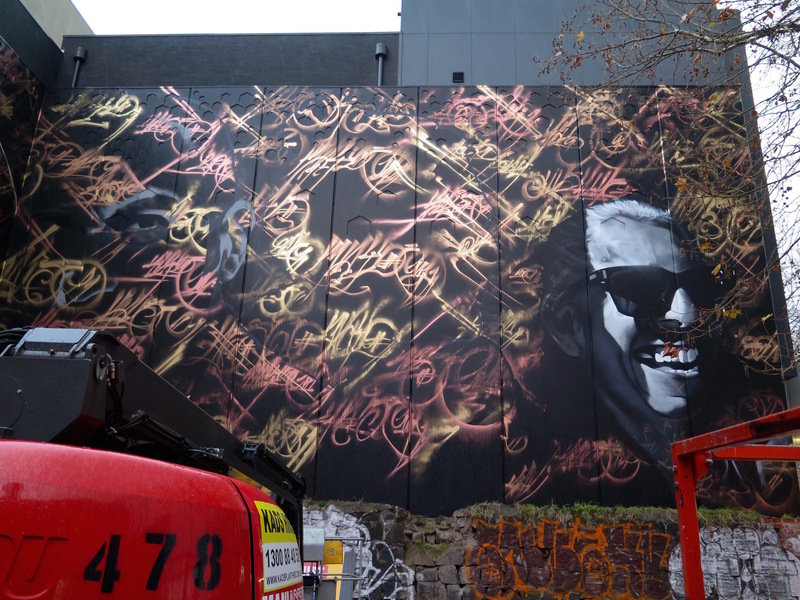 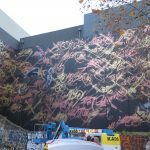 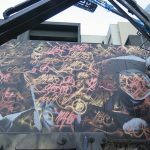 Mayo then took to the wall, covering the whole space in his signature repetitive tags in a mix of shades of gold and copper metallic paint. 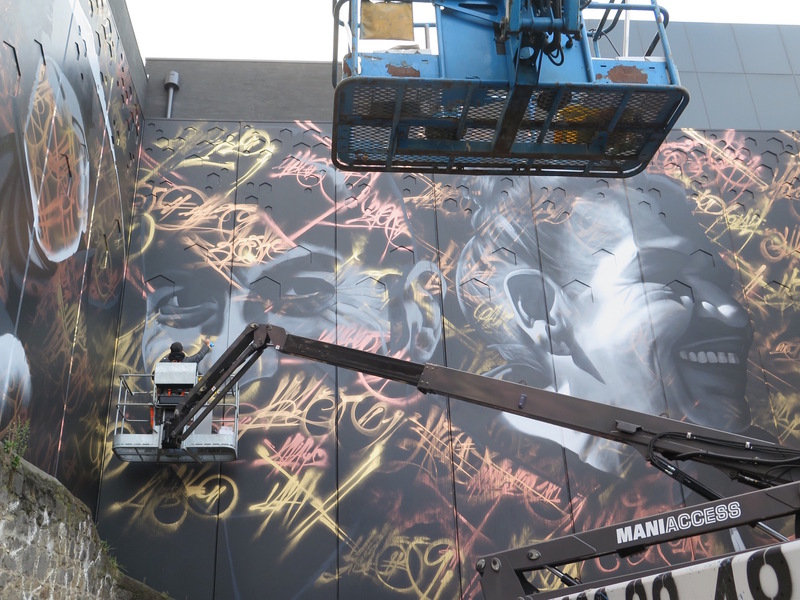 Next up Heesco painted the six large portraits one by one, in black and white, gazing out into the distance. 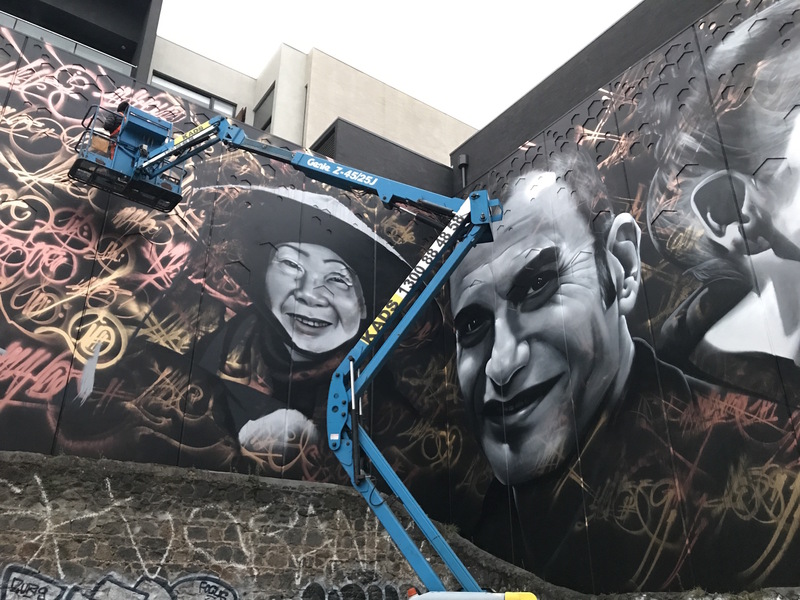 The hoards of people passing by daily are loving the finished wall and there seems to be a fresh sense of community pride with this new art gift.